Microsoft Corp. unveiled two cell phones on Monday that are meant for social networking-savvy teens and twenty-somethings, in an attempt to revitalize its mobile business and regain ground on iPhones and BlackBerrys. Microsoft said its new touch-screen phones – a short, square-shaped handset called Kin One and a longer, more rectangular one called Kin Two – will be sold exclusively in the U.S. by Verizon Wireless. They are being made by Sharp Corp., which has produced Sidekick cell phones, whose software comes from Microsoft-owned Danger Inc. In the past, Microsoft has mostly sold its mobile software to other companies to put it on phones they make. This will be the case with its recently announced Windows Phone 7 Series software, which is expected to be on handsets by the holidays. The Kin phones mark a departure, as Microsoft has sway over the creation of their software and hardware. Verizon said it will start selling the Kin phones online in early May and in stores shortly thereafter. In the fall, carrier Vodafone Group PLC – which owns Verizon Wireless in partnership with Verizon Communications Inc. – will start selling the Kin phones in Italy, Spain, Germany and the U.K. Microsoft has not yet announced prices. Microsoft needs help in the cell phone market. Its software has been losing share while Apple Inc. and Google Inc., which makes the Android operating software, have gained. 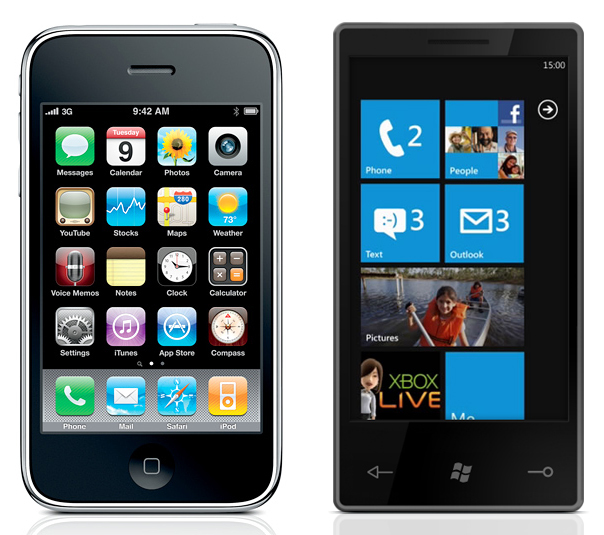 Microsoft software ran on 13.1 percent of smart phones sold in the U.S. last year, according to research firm In-Stat. That put Microsoft in third after BlackBerry maker Research In Motion Ltd. and Apple. Roz Ho, leader of the Microsoft team behind the Kin, said the company has been working on the Kin devices for several years, trying to create a handset for people who especially want to connect with others over social Web sites such as Facebook. The phones are also meant for people who want a handset that works simply, without forcing them to hunt through menus and icons, she said. That setup could also present a risk. Unlike most popular smart phones, the Kins won’t have access to application stores that let customers download add-on software programs. Ho said her team studied consumer habits and then built the activities they used most often into the Kin phones. For instance, in a demo for The Associated Press, the Kin’s home screen showed a live stream of updates to social networks and Web sites that can be clicked on and responded to. 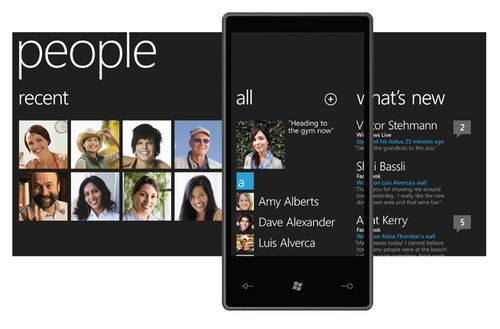 Users can send photos and other material to people by dragging it onto a little circle at the bottom of the screen. A finger swipe across the screen can then bring up a page with applications such as photos and music. The music player will be based on Microsoft’s Zune software, which also will be incorporated into the Windows Phone 7 handsets that multiple manufacturers will be able to use. That software was announced first, at the Mobile World Congress trade show in Barcelona, Spain, in February, but will hit the market later. Microsoft and Verizon said they don’t think consumers will get confused. The Kin handsets will not be obviously branded as Microsoft products. They will sport a sizable “Kin” logo on the back and, in smaller type, an indication that they are Windows phones from Verizon and Sharp. Gartner Inc. analyst Ken Dulaney doesn’t think the lack of a dedicated application store will hurt the Kins’ chances. Instead he’ll be watching how Verizon prices the devices and accompanying data plans. He’s hoping to see the Kins cost $49 or be given free with a Verizon contract. “By pricing it properly, they can give themselves some room to grow and differentiate themselves from Apple. If they put themselves in the same ballpark, I think they’re going to get hurt,” he said. Both Kins are black with screens that respond to multiple finger gestures, similar to the “multitouch” technology on the iPhone. The shorter Kin One has a full QWERTY keyboard that slides out from the bottom, while the Kin Two has a full QWERTY keyboard that comes out from its side. Both include Wi-Fi access and cameras capable of taking higher-resolution photos than most handsets: The Kin One will include a 5-megapixel camera, while the Kin Two will have an 8-megapixel camera. The Kin Two will also be capable of shooting HD-quality video. Neither has a memory card slot; instead, the phones will upload content such as photos and videos to a Kin online storage service to free up memory. Microsoft already does something similar with the Sidekick phones – it stores phone numbers, photos and other personal data on servers it runs. This resulted in an embarrassing incident late last year, when a server meltdown caused data to disappear from some users’ phones. T-Mobile temporarily stopped selling the phones, and some customers even sued. Microsoft managed to restore most of the missing data, and gave $100 gift cards to affected customers. The Kins’ arrival doesn’t signal the end for the Sidekick. T-Mobile, which owns the brand, said it will introduce new hardware and software and consumers should look for updates “in the months ahead.” But those new units will not use Danger’s software. APMicrosoft CEO Steve Ballmer gestures during the Windows Phone 7 presentation at the Mobile World congress in Barcelona on Monday. Software giant Microsoft on Monday announced that its Windows phone 7 operating system for mobile phones will be available by Christmas season of 2010, as a whole new platform that incorporates social networking, music, video, photos and games to provide a rich, personalised user experience. At the Mobile World Congress that opened here, Microsoft’s Chief Executive Officer Steve Ballmer unveiled the features that the Windows Phone 7 to be manufactured to specifications laid down by the company, will offer. The phones will support the capacitive touch interface now popular with users, and revolve around the concept of ‘hubs’ on-screen for people, pictures, office and mail applications, music and video. Making the hubs the core of the navigation system, with dedicated keys for start, search and back — the most frequently used functions — and providing the ability to display configurable individual ‘tiles’ on the display screen for the people and applications that matter most to the individual user will differentiate, in Microsoft’s view, the Windows Phone 7 from the personal computer, and other phones. 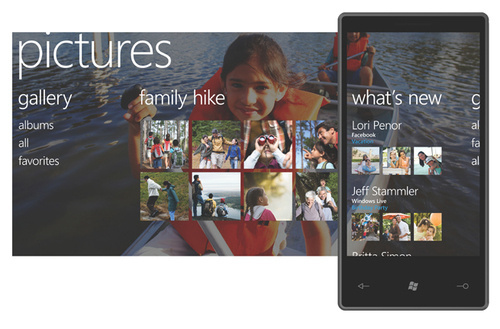 Thus, a user can feature tiles for individuals, which would show connected activity for them on Facebook, Windows Live and so on. Full-featured synchronisation and integration capabilities with other Microsoft products such as Office, Outlook, the music player Zune and the gaming platform X-Box Live has been built into the new system. It is tightly knit with services such as Bing, the search engine for which the company is strengthening its database and map utility. The mobile browser for the phone is built on the desktop Internet Explorer code, aimed at making for a good web browsing experience with the vast majority of existing Websites. A major area that Microsoft is focusing on is active collaboration with hardware manufacturers, to bring about consistency of performance. It has laid down minimum standards for the phones. At the same time, Mr. Ballmer said, it wants diversity and innovation in the form, feel and industrial design of the phones. In the case of developers, a rich kit is being provided to encourage development on the scale that was witnessed for operating systems for computers. Highlighting the features of the Windows Phone 7, Joe Belfiore, Vice-President, Windows Phone Programme, said the phone was not a personal computer, was much more personal and lifestyle oriented, and the new platform had been designed with that fundamental philosophy in mind. Microsoft hopes that the new platform will give it a solid footing in the fast-growing smartphone market, through a series of partnerships with hardware manufacturers including LG, Samsung, HTC, HP, Dell, Sony Ericsson and Toshiba, and technology companies such as Qualcomm. It has been working on similar collaborations with mobile operators for services. Andrew Lees, Senior Vice-President, Microsoft Mobile Communications Business, said over 1 billion phones were sold every year, and there was a massive shift to the smart phone segment.